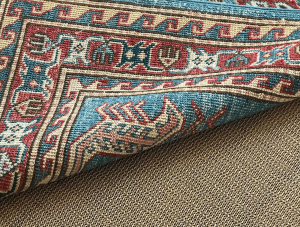 Over the years we have developed a solid reputation for offering the best cleaning service for fine rugs and carpets. 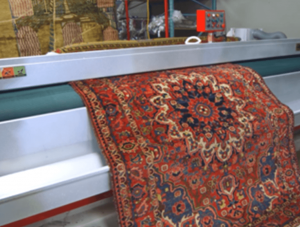 We take the same amount of pride cleaning a machine-made rug that we do cleaning an antique Persian. We can accommodate rugs of any type and size. Any repairs, stains or other problems can be discussed directly with our service technicians. We also arrange pick-up and delivery services for rug cleaning. Learn more about our rug cleaning services. 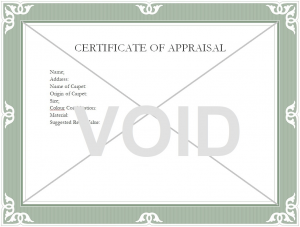 Learn more about our appraisal services. Protect your floors, rugs, and home with a custom rug pad. We offer high quality non-slip rug pads for hardwood or tile floors. Our non-slips pads are constructed with an open-weave, which promotes air circulation and makes vacuuming easier. All sizes are custom cut to your specifications. A small oriental rug can make a very pleasant wall decoration. 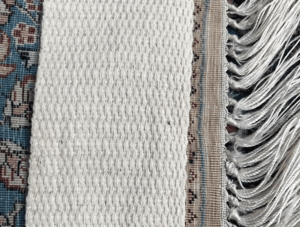 Our skilled weavers will customize a sleeve, which is sewn on the back of your rug, just below the fringes. 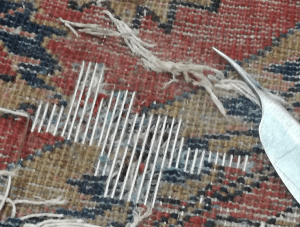 When the sleeve has been sewn on, a rod can be pushed through it, enabling you to hang the rod with the rug hanging from it across hooks in the wall. Kasra Persian Rugs offers on-site consultations as part of our service to our valued clients. We assist in pre-selecting the most ideal options for your space, and will schedule an appointment for viewing these selections on site. We offer measuring and installation as part of our service and will work with you to ensure you are completely satisfied with your project. Our knowledgeable design team is always ready to bring the client’s design concepts to life. Simply bring us your room’s measurements, colour swatches and fabrics and let us help you find your dream rug that fits your lifestyle.